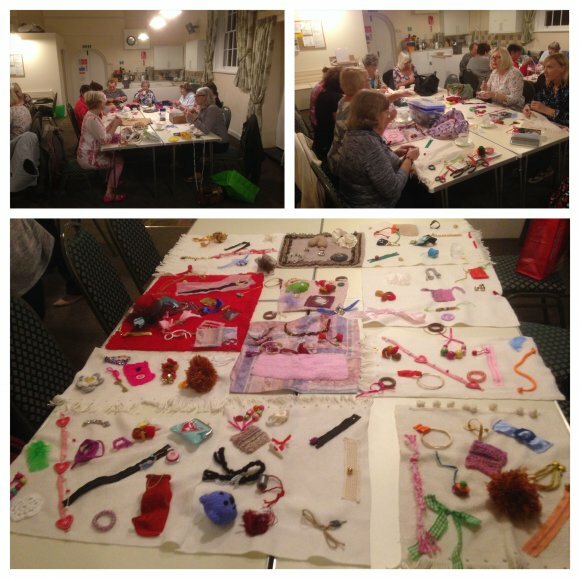 WI members, joined by three non-WI members to make "fiddle blankets" for dementia patients during our September social evening. Fiddle Blankets help agitated dementia patients to become calmer. Local care homes are delighted. XHTML 1.0 validated. WCAG compliant. Page generated in 0.0765 seconds.